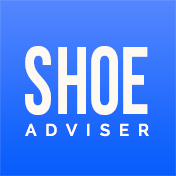 https://shoeadviser.com/ is a participant of the Amazon Services LLC Associates Program, an affiliate advertising program – it is designed to provide an aid for the websites in earning an advertisement fee – by means of advertising and linking to Amazon products. When clicking on any of the Amazon links provided by https://shoeadviser.com/, the cost of the product, or any other item you purchase is not increased. To put it simply, we are earning a small commission paid directly from Amazon, which helps us to cover the cost of hosting of the server and motivates the team to write better content, for you. Thank you for your consideration and support!